Go into every conversation feeling good about yourself, it will make others feel good about you. Be proud of who you are and play to your strengths. Concentrate on the conversation you are having, not the one you just had. Don't dominate the conversation - it's not all about you! You might think you are fantastic and you might want to tell the other person all about yourself, but wait until you are prompted. People who can talk about themselves for the majority of the 5 minutes without even taking a breath risk appearing boring, conceited or just plain scary. That said, remember that a conversation is all about balance - if you play your cards too close to your chest or don't say boo, people may think you are unfriendly, arrogant or shifty. Show interest, listen carefully, and focus your attention on the person you are sitting opposite. Resist the temptation to eye up the hotty at the next table. 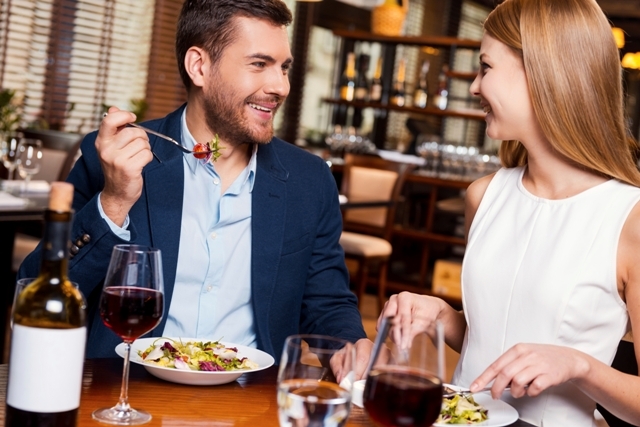 Everyone at the event may not be interested in meeting people to date so if you are not interested in them romantically you might as well pass the time in a fun and friendly way. What type of music/ movies/ books do you like? If you could invite any 3 people to dinner, who would they be?